From Swedish manufacturer, Doro, who specialise in easy to use telecommunication, comes the 312C. 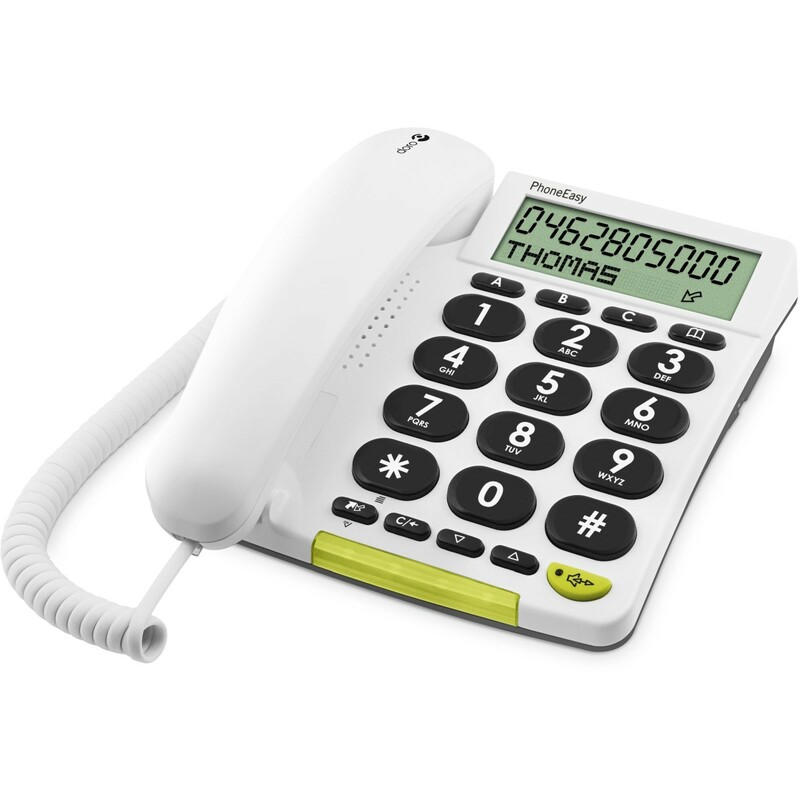 This user-friendly telephone benefits users with a large clear display, big buttons for easy dialling, and a visual ring indicator to help you see when someone is calling. It is Caller ID enabled so if you subscribe to this service with your line provider then you will also be able to see details on incoming calls. You can also talk comfortably in hands-free thanks to the speakerphone. If you’re looking for a new phone and concerned that it might not be loud enough or too difficult to use save yourself the hassle and opt for Doro’s 312C.